Trinity Pines Lodges are a popular option for groups who desire the privacy of motel rooms with the togetherness of a shared conference room. These motel style facilities have private rooms with interior hallways. Each sleeping area has a private bath, a queen bed, and multiple bunk beds. All three have an outdoor deck or patio. 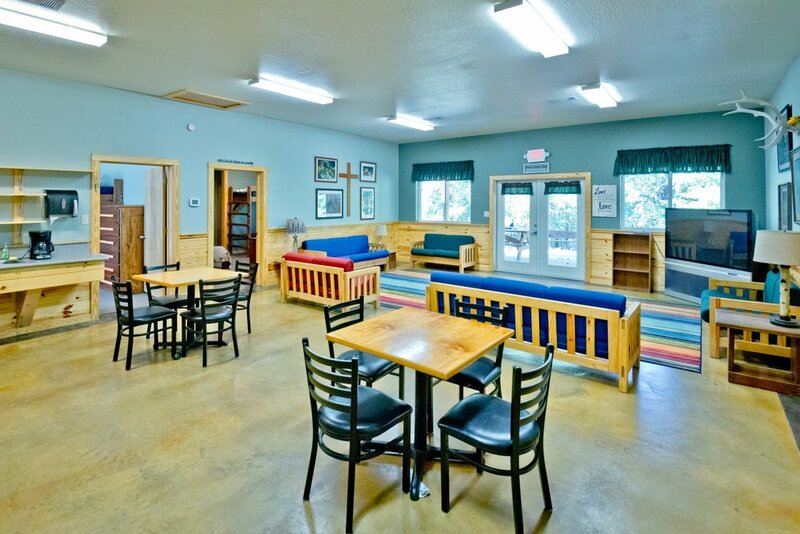 For guest groups who reserve only one lodge, the common area is their assigned conference room. If interested in lodge reservations, please plan ahead, as they stay reserved far in advance. 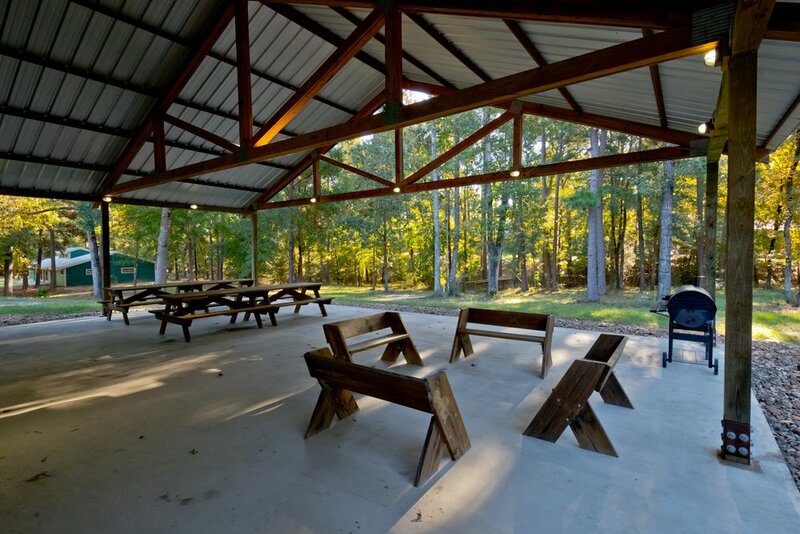 This facility has long been one of the most requested lodging at Trinity Pines. Chafin has 11 private rooms and a full kitchen. 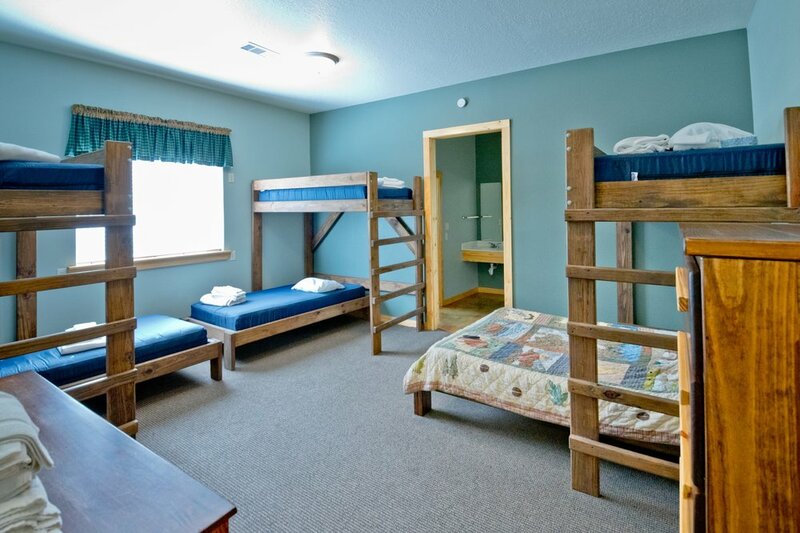 Each room has 5 beds and 6 bed spaces with 1 queen bed and 2 sets of bunk beds. Minimum of 35 guests to reserve. Faith Lodge is our newest facility. It has 4 sleeping areas. Each sleeping area has 6 beds (1 queen sized bed, 2 sets of twin size bunk beds, and 1 single bunk bed) in each bedroom. Each room sleeps 7 for a total capacity of 28 guests. Each bedroom has a private restroom. Minimum of 15 to reserve. This recently constructed lodge has 8 rooms with a spacious common area. Each room has 7 beds and 8 bed spaces, with 1 queen bed and 3 sets of bunk beds. Minimum of 34 guests to reserve.